Valeport has so far met this challenge with varying designs and success with a mix of bespoke packaged sensor products, or simple OEM sensor options for customer integration. Conductivity, Temperature and Depth (CTD) and Speed of Sound, Temperature and Depth (SVP) are common requirements and necessary for complementary or corrective data to other parameters being measured. More specific parameters such as Chlorophyll, Rhodamine, Fluorescein, Turbidity and Crude Oil in water are also coming as both independent and packaged products. existing proven technology with respect to circuits and sensors is by far the easiest approach to meeting customer requirements for vehicles. Adapting what we have in the form of re-packaging is a way of keeping product costs at a sensible level whilst maintaining that reliability and accuracy. 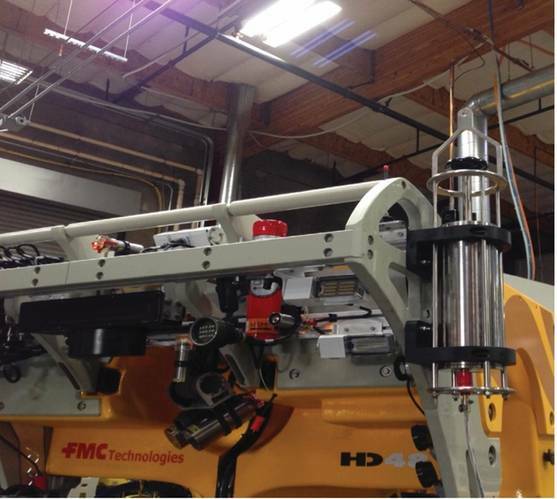 Re-using this technology will also greatly reduce the need for prolonged testing of prototypes. This also has the benefit of reducing timescales for completion of the end product and ultimately keeping the customer happy. Because Valeport all key processes in such as design, machining, environmental testing, and calibration, we can quickly determine with minimum fuss and maximum confidence if an answer to a customer’s request or specification is feasible for us to engage with. Sensor packs for ASVs are not so constrained to size or power requirements, especially with larger vehicles where this is certainly not a problem. It also gives scope for a more multi-parameter approach to water quality evaluations. Most ASVs want probes that can be profiled to a reasonable depth from an winch either as pre-programmed or on demand. 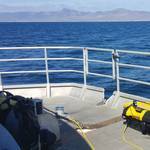 to this after a successful deployment process is the transfer of data upon recovery to the ASV via hard wired or wireless systems. Doing this automatically greatly reduces customer intervention and makes it one less process . At Valeport, we proactively work with manufacturers to achieve this through their own software or control systems with integration of our own code. Products available to operate like this already are the SVP, fastCTD and rapidCTD all of which have Bluetooth communication capability and internal batteries. 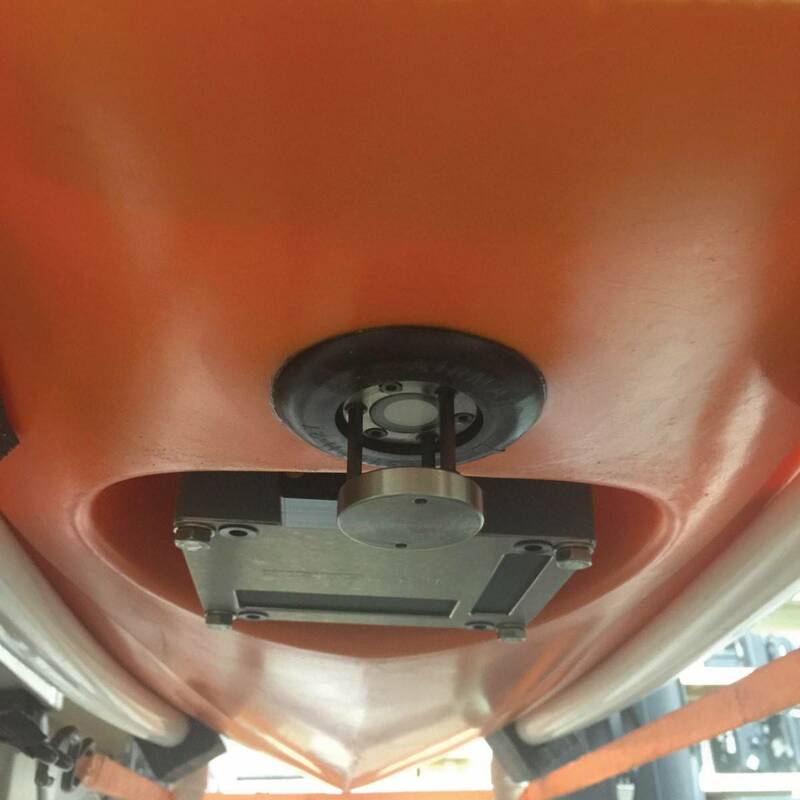 Small ASVs generally require sensors for surface measurement only and typical of this would be a sound velocity sensor like the miniSVS for input into a single or multi-beam echo sounder where it is hull mounted. 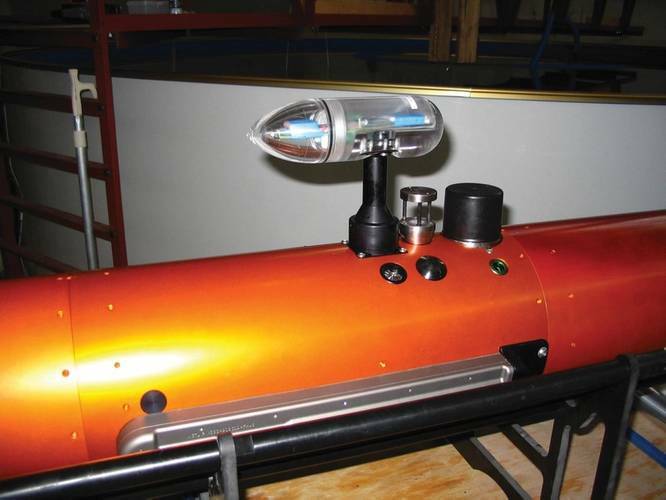 AUV sensors are certainly the main challenge to us and this fast changing technology ranges from large commercial or military to small scientific vehicles. Sensors for internal and flooded area use, or hydrodynamically sympathetic to the host vehicle certainly stretch design criteria especially when trying to adopt a “one fits all” approach where possible. Our work in this area has evolved from a very successful of using marine mammals as a host vehicle via the Sea Mammal Research Unit (SMRU), University of St Andrews, Scotland. 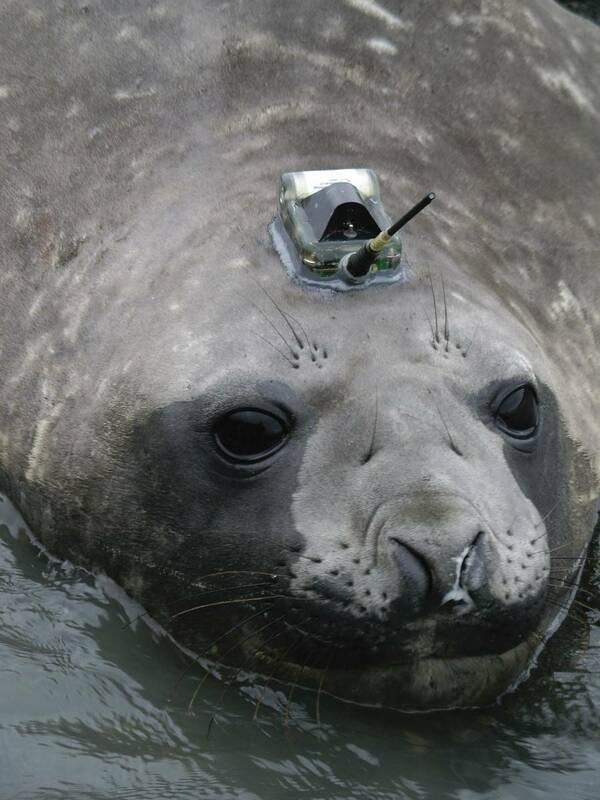 This saw the development of a CTD Oceanographic sensor for integration into an intelligent logging tag, to provide an essential tool which allows researchers to better understand the characteristics of sea mammals in relation to the environment in which they live. This is through the combined monitoring of the mammal’s detailed dive and haul out information with the key oceanographic parameters, and salinity being measured to an acceptable scientific standard. This technology is now enhanced with the addition of a Fluorometer to measure Chlorophyll as well whilst still retaining the main footprint in a compact and rugged arrangement. Military AUV requirements are able to benefit from our commercial off the shelf (COTS) technology where a combination of sensors are combined into a small and lightweight package, whilst still being rugged enough to endure the tough working environments and meeting military standards. 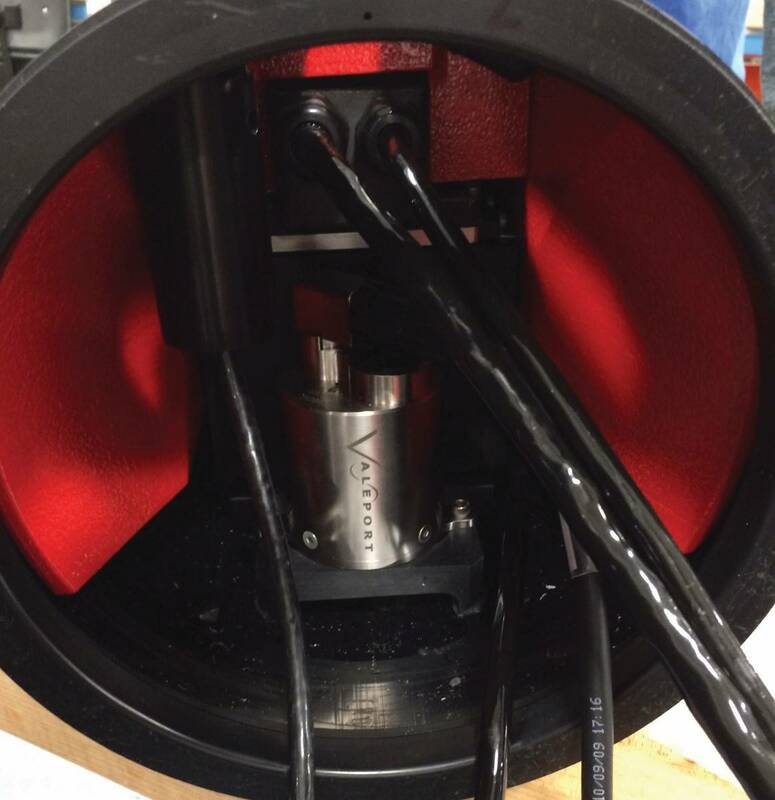 Typical of this is the UV-SVP which offers accurate Sound Velocity, Temperature and Depth in a compact and lightweight titanium housing for 3000m operation. By adding an Altimeter and optical sensor such as a Fluorometer then makes it an interesting addition to any payload. 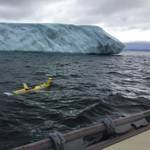 From the large and work class and scientific vehicles to those that you can hold in the palm of your hand for shallow water use, the challenge has many similarities to those of instrumenting AUVs. 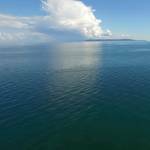 High accuracy depth and bathymetry when working so deep is critical to operations. , Density corrected data from accurate are key to this role and having robustly packaged, yet accurate sensors that can operate to 1100 bar in some specific cases contribute to this requirement. Our own Midas and VA500 Altimeter combination the correct sensors to generate precision Sound Velocity and Density profiles for highly accurate depth and height data. Operating in strong underwater currents can significantly affect vehicle performance and whilst some designs stand up well in these conditions, the need to measure current flow either remotely or is important operationally. This can be done using electromagnetic current meters with, or without compass (direction) data with integration directly on the vehicle or its tethered management system (TMS / Garage) to provide extra data for the pilots in control. Additional sensors such as Conductivity, Temperature, Depth and Turbidity can also be added to current meter products such as the Midas ECM. Valeport is the UK’s leading manufacturer of oceanographic, hydrographic and hydrometric instrumentation. Valeport designs and manufactures instrumentation for the oceanographic, hydrographic and hydrometric communities with a worldwide customer base that includes: , environmental, oil and gas, renewable energy, construction, dredging and civil engineering sectors. Valeport has supplied to the subsea sector since it was established in 1969, now an independent, family owned business, Valeport employs more than 80 people from their base in Devon, in the of the UK and works with a global network of agents to ensure a responsive and efficient worldwide service.